So you're ready to work from home? Winter is going to be here soon so I thought it was time to get flu-season ready. Years ago doctors would recommend a whiskey/honey mixture to be given to people of all ages. This recipe is better. Not only is it full of fermented goodness and super easy to make...it actually works! 4 bulbs of garlic, peeled and separated into cloves. Place the garlic cloves in a jar (or divide into two jars like I did). Add honey slowly allowing it to seep between the cloves of garlic before adding more. Stir and cover. I like to cover it with cloth and a rubber band but please note the garlic smell can be strong. Stir daily for a few weeks as this will help the garlic to submerge. Once the garlic had become shrunken and brown then reduce the stirring to every 3-4 days. 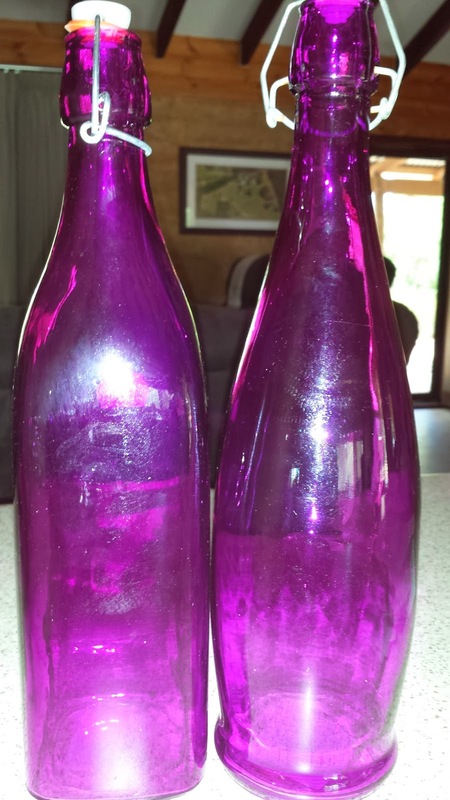 After 3 months of fermentation it's ready to use. 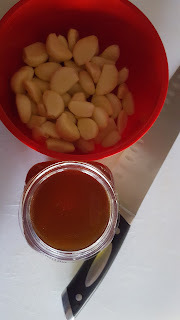 Simply take 1 tablespoon of honey or 1 clove of garlic as needed. Store in the refrigerator at this stage. *Honey should not be given to children under 1 year. 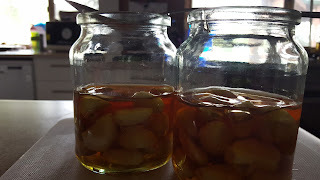 **This ferment produces a garlic mead. How to make Kombucha - it's not as hard as you think! 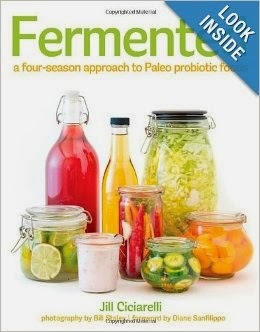 Fermented: A Four Season Approach to Paleo Probiotic Foods. 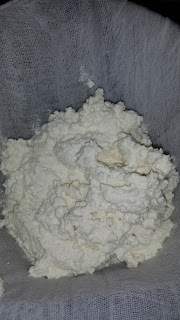 Quite a few people had been posting pictures around the net of fermented foods they'd been making. Some of those were sauerkraut, kimchi, ginger beer and kombucha. I'd heard of it years ago but basically thought it was too hippy-ish for me. It fell into the category of all those things in the 80's which alternative lifestyle people did. While reading Jill's book, I remembered that our local health food store sold kombucha. According to her book, it wasn't that hard to actually make it. But first I had to try it. The bottle I purchased was the one in the advertisement below. Well, not ACTUALLY that one, but you get the idea. Oh. My. Soul. It was good. It was bubbly like a soft drink and not overly sweet but with a sort of bite to it. Now I deliberately chose a bottle which had strings of white stuff down the bottom. As Jill points out in her book, this is the culture which allows you to make your own 'scoby'. What on earth is a 'scoby', I hear you ask? Scoby stands for...Symbiotic Colony of Bacteria and Yeast. The same stuff that's in alcoholic beverages, breads etc. Using Jill's directions, I poured the dregs from the store-bought kombucha into some cooled sweetened tea, (about a cup full) which I'd poured into an old coffee jar. Most people use green tea but I just used plain old black tea bags. Then I covered it with a handkerchief. 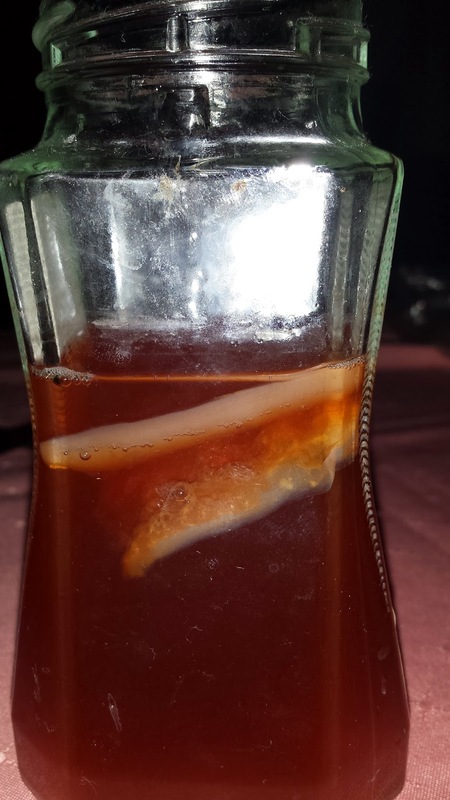 This allows all those gorgeous wild yeasts that float around in the air to go to work on the sweetened tea. Don't stress, every house has wild yeast...it won't kill you. After a week or so, I had a peek. There, floating around in all that sweetened goodness was my very own scoby! Next I made up more sweetened tea. 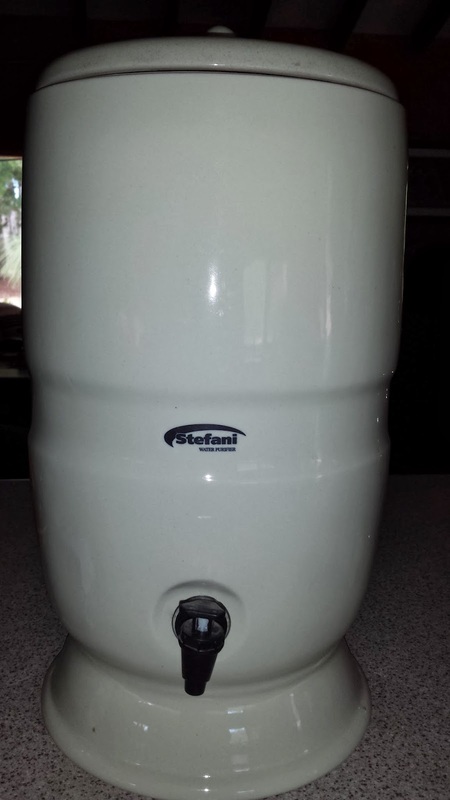 I used four litres of filtered water and 1 cup of sugar. Bring to the boil and then take off the heat. Add 4-5 teabags, let cool. That tea I poured into a water urn. My scoby, and the original sweetened tea it grew in, was then carefully placed into the urn with the rest of the sweetened tea. My scoby will grow to be lovely and fat in that container, and will eventually be the same circumference. It will even have babies! The final step is to pour some of the kombucha into a pretty glass bottle and pop in a few pieces of fruit to flavour. 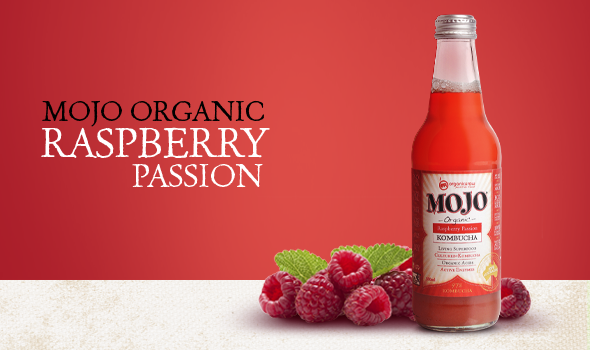 I use raspberry, but you can flavour it with anything you can like. This week I've been playing house. Which is good. Because playing house usually means cooking. It's been wonderful to not answer phones or emails, to take time off from life and just...sit. From where I'm sitting at the kitchen counter I can see the chickens scratching for worms, the dogs lazing on the lawn and the cows sitting under a tree. So while life moves at a slower pace, I decided to try and make Almond Cheese. Turns out it's pretty easy. And tastes nice too. 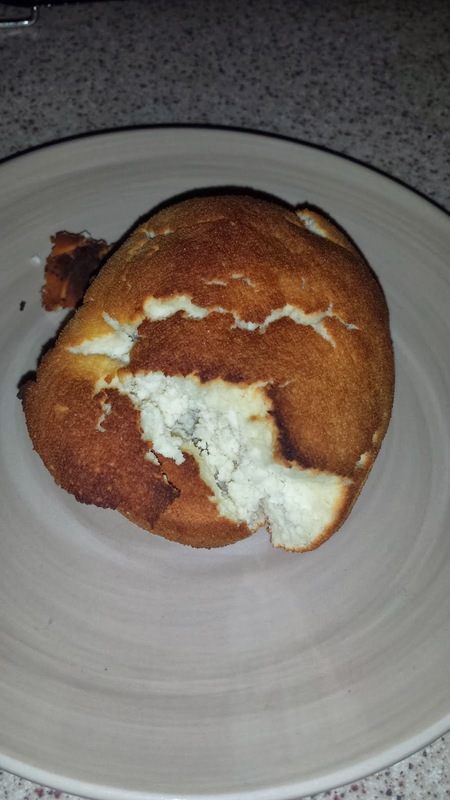 Remember, however, it won't taste like normal cream cheese as it's not dairy. But I do think it's a great alternative for those who can't tolerate dairy. Place 1 cup of raw almonds in a bowl and cover with cold water. Put aside for 2-4 hours or until the almonds just 'pop' out of their skin when you give them a squeeze. 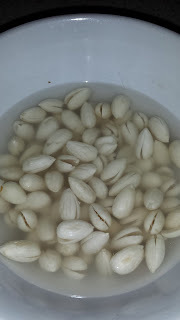 Soaking the almonds is also supposed to 'activate' them and make them easier to digest while releasing more nutrients. Blend the almonds in a food processor, or Thermomix, with 1/2 cup water, 3tblsp olive oil, 3 tbsp of lemon juice and a pinch or two of sea salt. If you don't have sea salt, normal salt will do. At this stage you can also add some herbs or a clove of garlic for taste. I tend to use the garlic that comes in a tube in the refrigerated section with fruit and veggies. I also like to add some rosemary that also comes in those handy-dandy tubes. Whoever invented those needs a big hug! This may take up to 5 minutes so don't stress and try and hurry up the process. 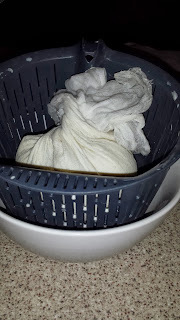 Once the mixture is blended until lovely and smooth, place it in some muslin or cheese cloth. Give it a gentle squeeze or two to remove moisture. Place the bundle in a colander with a bowl underneath to catch any liquid that may drain out. Leave it in the fridge over night. The next day, open the bundle and place it smooth side up (upside down) in an ovenproof bowl. This then goes into a 180C oven for around 30-40 minutes until golden brown. I've opened the one I just made so you can see the creamy white texture inside. All you need now are some crackers or celery to spread this cheese onto. The crust can also be eaten so don't waste it. Around here, everyone's jumped on the juicing bandwagon. 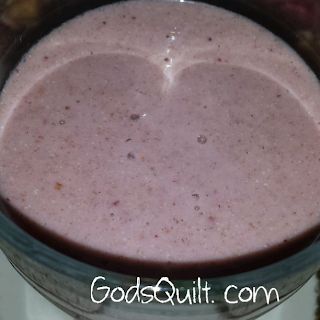 It's tasty, good for you and oh so easy to make. 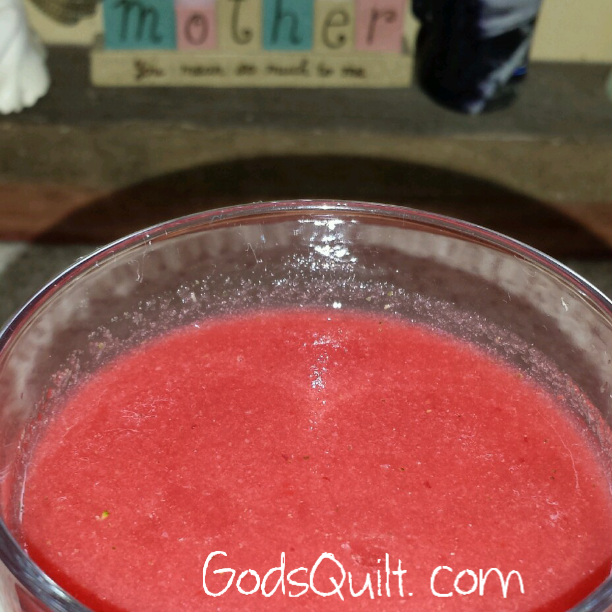 Here's what we've been juicing. blackcurrant, apple, pear, ginger and green tea. 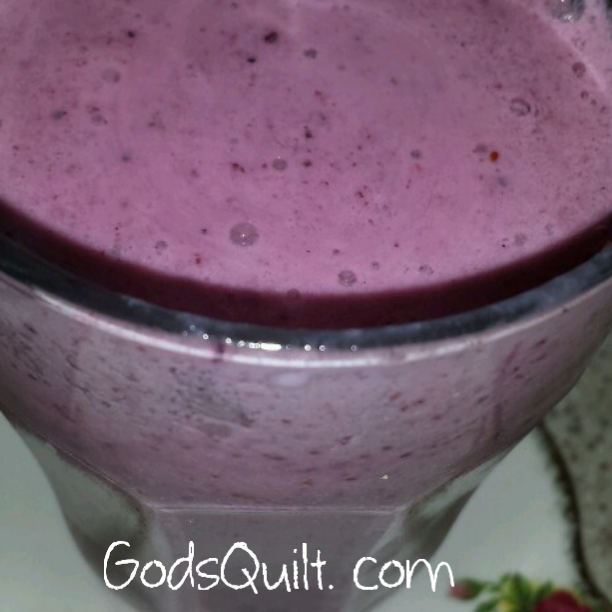 blackcurrants, greek yoghurt & almond milk and pineapple. A berry blast in a glass! phosphate phosphorus. Can't get better than that! Friends doing what Friends do. 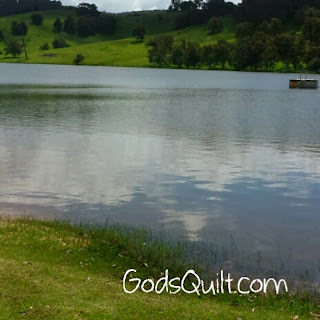 A couple of weeks ago we went to a birthday party held at Drakesbrook dam at Waroona. We'd never been there before so were pleasantly surprised at how beautiful it was. During winter, we have a friend who swims here every day. She does this in order to prepare for the Rottnest Swim which is held in Western Australia every year. The water gets down to almost freezing. There's no bling shiny enough to get my little piggies to venture in! The kids had a wonderful time. 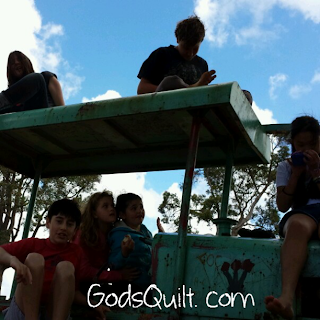 They discovered an old steam roller which was perfect for climbing on. Then they did what friends do...they hung out, chatted and played. Doesn't this take you back to your childhood days? 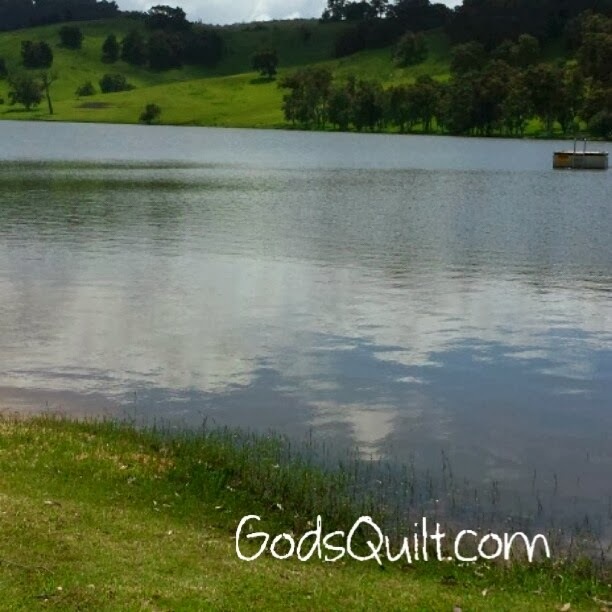 Copyright © God's Quilt - My Life. All rights reserved.